Do you often host parties in your garden space? If yes, then you must be in the hunt for furniture that is durable and is able to face the havoc of outside weather. We all know that garden furniture are the worst sufferers as it receives direct sun rays and easily gets dull over time, however, if you want to impress on your guests then you need to choose the right kind of wood for your garden area. Durability is perhaps one of the first considerations that we keep in mind while choosing garden furniture. However, by going with the durable material you cannot compromise with comfort or aesthetic qualities. Most people think that wood is the best but we forget that wood can look fanciful but it is not durable for a longer period of time. However, there is one wood type that can stay for a lifetime and it is teak wood. Nowadays, there has been a growing demand for teak garden tables in the market as these woods are durable and water resistant. 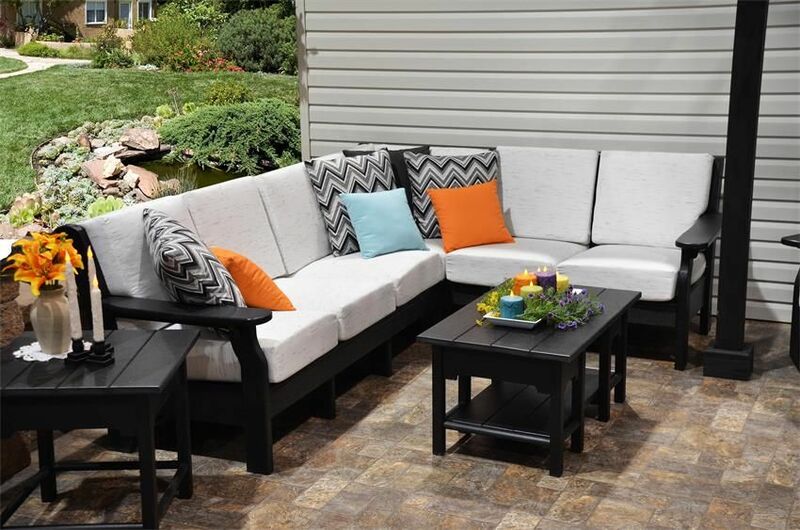 It is to be noted that while choosing garden furniture, you need to invest in the reliable type of furniture. Teak wood is regarded as one of the most reliable woods which could be used for safeguarding your valuable garden furniture. It has been found that these wood types have an amazing strength and resistance power. Do you know that furniture which is made up of teak wood could last for almost 100 years? Isn’t it awesome and it clearly indicates the fact that you will not have to invest in its maintenance cost. Most of us are concerned about the look of our garden patio as it is the first area where our guest first arrives and half of their impression lies in it. So, it shows how it is important to keep our garden furniture beautiful and classy. Teak wood looks attractive with its rich golden brown colour. These woods are in fact quite smooth which is sure to give you complete comfort. Furthermore, outside weather would hardly put any effect on its lustre as it has special oil that prevents the wood from getting damaged by water or dust. If you are quite convinced to make teak garden tables part of your beautiful garden space then just have a look at the following fact that is to be kept in mind while shopping for teak wood. ● Teak wood is available at different grades and before you plan to shop for teak furniture you need to be very careful about its grades. ● You will find some chemically treated teak in the market, just beware of them. This type of teak will not safeguard your furniture against weather. In case you find the patchy appearance of the wood you should understand that it is chemically treated. ● The buyers are required to take a water test by simply putting water over the teak furniture and see the change. If it is of low quality then you will find that after soaking of water the furniture shrinks or cracks. Thus, by making a rightful choice for your garden are you are definitely going to encourage your guests to visit your place for a garden party more often.